This is the really fun part! 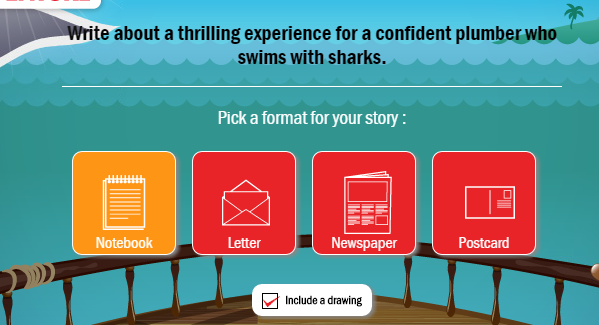 Click on the spin wheel and the required story elements are generated for you! If you want to change just one, you can click on those buttons below each element. It is so fun to watch and see what kind of writing prompt is created! As a teacher, I LOVE LOVE LOVE this part! It’s great for students to have choice, it’s excellent if you’re teaching any one of these particular types of writing, and it is fantabulous for differentiation! Okay, I’m jumping back in here for just a moment. At this point, you have a decision to make. 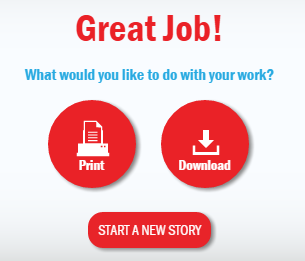 If you have used a projector to share this site with the whole class so far, you may want to let them all begin their stories (on paper or computer) based on the class topic that you’ve shown. 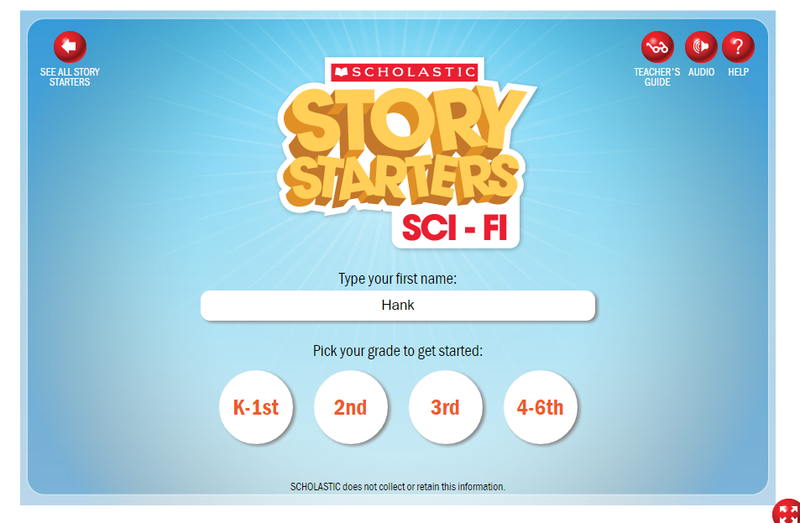 However, if you really want students to have some real choice, you can put them all on their own computers and have them all log on to Scholastic Story Starters. This particular page is from the 4-6th grade adventure story. 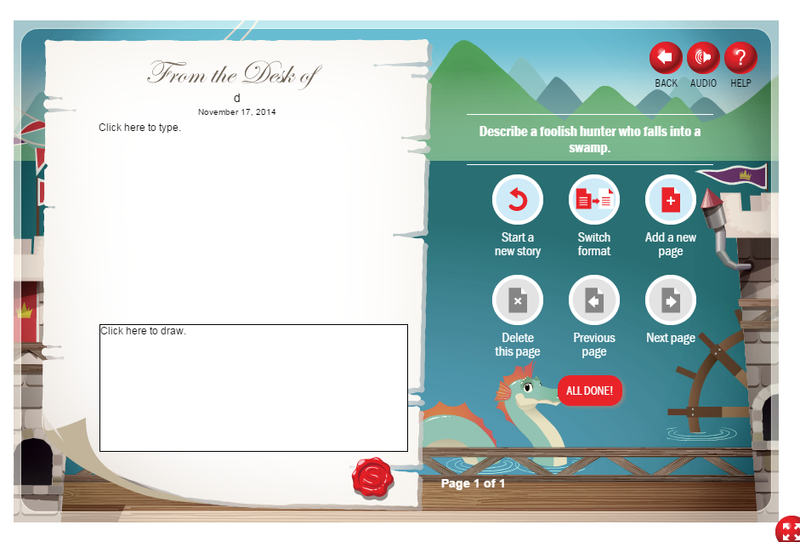 It allows students to add additional pages and even leaves space for an illustration! 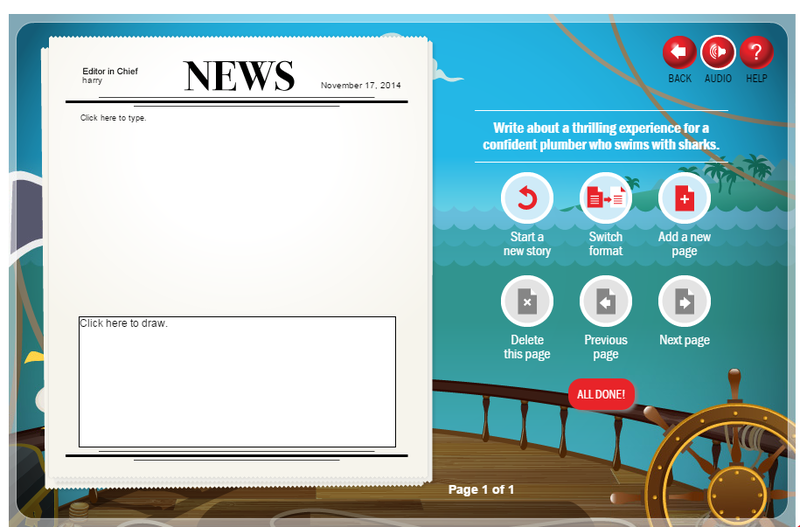 If you happen to be teaching letter writing skills, look at this great writing paper! Don’t you think kids would be motivated to write with fancy paper like this? And yes, in the end, students can print or save their work! But I’m pretty sure they’ll go with option #3 and choose to start a new story! 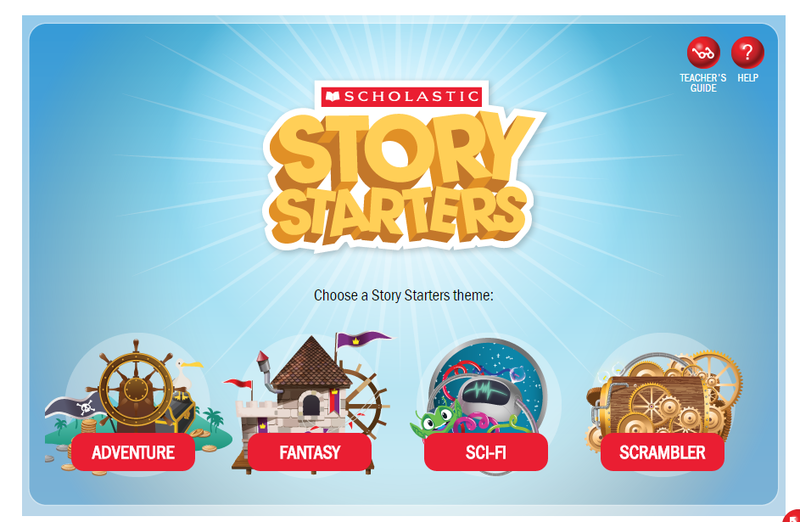 So there you have it – Scholastic Story Starters! If you use this site with your class, I would really love to hear how it went! You can follow me on Twitter @kerszi, on Facebook at My Primary Techspiration, and here at my blog at kerszi.wordpress.com. Happy writing!